Rich and chocolatey this Ultimate Brownie Recipe that makes a super chewy centre and a perfect crackled top. 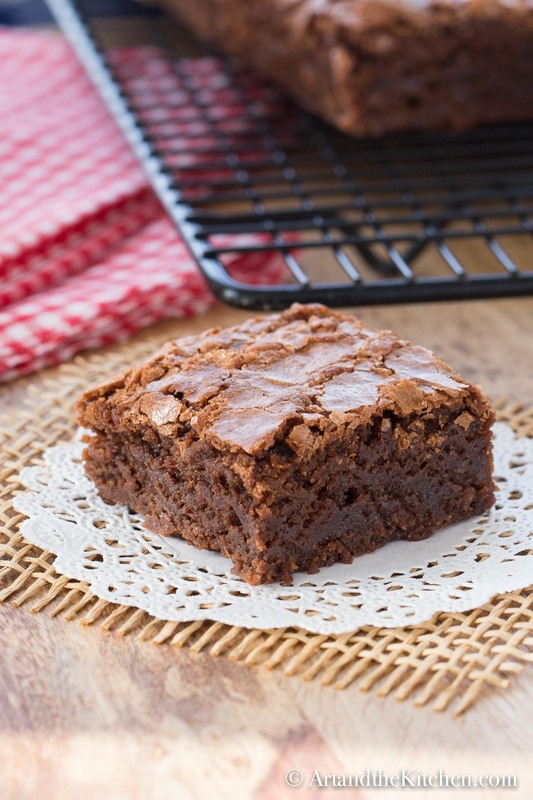 This perfect, chewy chocolatey brownie tastes great plain or topped with buttercream frosting. Try my recipe for Baileys Irish Cream frosting. 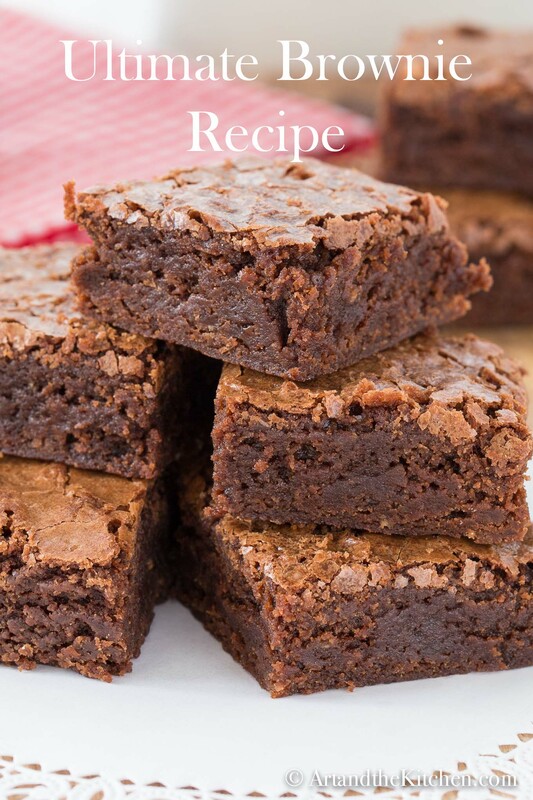 The half tablespoon of instant coffee granules I added to this recipe made it taste even better! Not a coffee person, no problem, simply leave the coffee out. 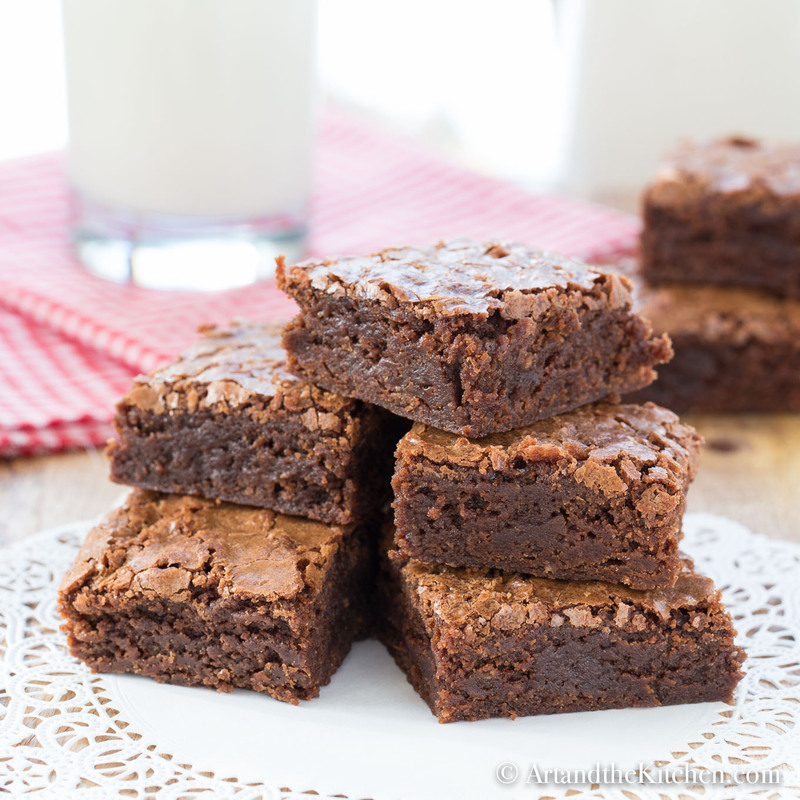 Enjoy these brownies with a large glass of cold milk or top with some vanilla ice-cream, YUM! A decadent dessert for the true chocolate lover with combination of dark chocolate and cocoa powder. This Ultimate Brownie Recipe makes a rich, chewy brownie with a yummy crackled top. Grease 13x9 inch cake pan with butter. Whisk together cocoa powder, instant coffee and boiling water in a large bowl until smooth. Add the dark chocolate and butter whisking until chocolate and butter are melted . Add oil, vanilla and eggs. Continue to whisk until smooth. Whisk in sugar until fully combined. Using a spatula stir in flour and salt mixing until combined. Don’t over mix. Pour batter into prepared pan and bake 30 to 35 minutes. 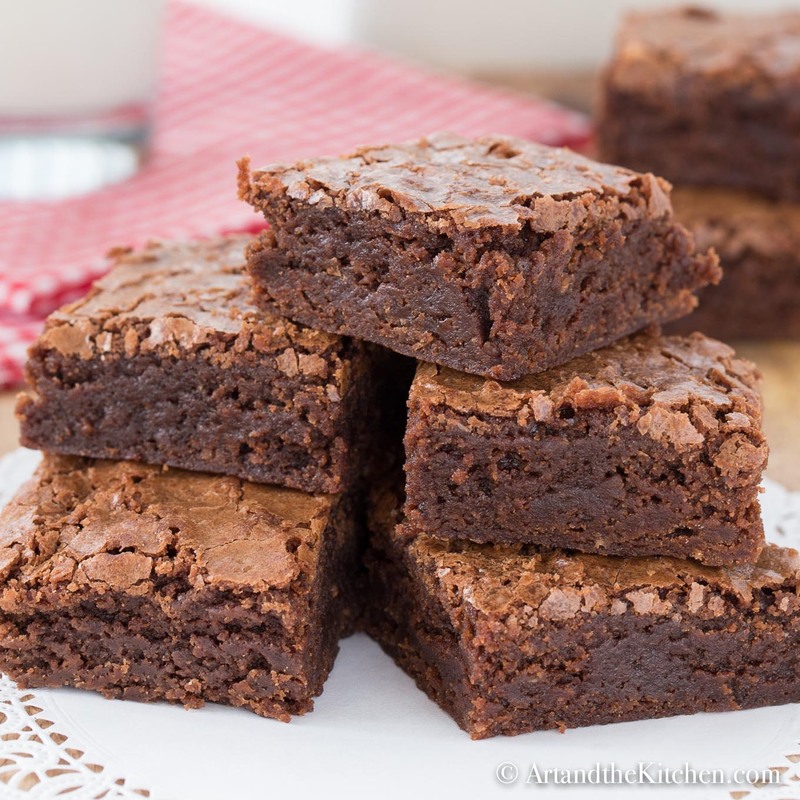 Brownies are done when toothpick inserted halfway come out with just a few crumbs sticking to toothpick. Cool on wire rack for 1 hour before removing from pan. Love if you would take the time to follow me on Pinterest Facebook Instagram and Twitter where I post all my latest recipes. Here’s a great image for Pinterest! Kristins, All purpose flour is just plain white flour. If I cut the sugar to 1 1/2 cups will they still taste the same? hi Jennie, most times with baking a recipe will not turn out the same changing ingredient measurements, but by all means give it a try and see what happens. Drop me a note if you try. I was wondering since I’m not a coffee person, would I need to add the coffee? By add means Fancine, leave the coffee out. The recipe will still taste great. You mention oil in the ingredients…but not when describing the recipe….could you please confirm?